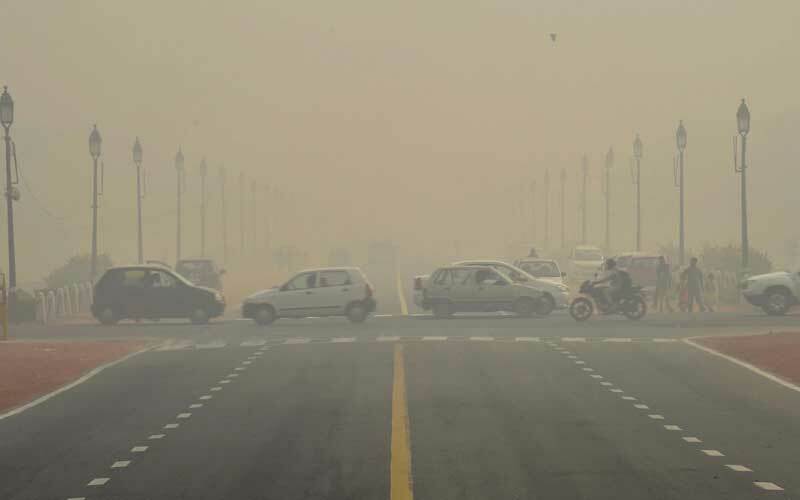 You know you’re living in Delhi if your eyes burn, your throat is sore and your chest feels heavy. It’s been four days since Diwali night, however the cover of toxic air doesn’t seem to be lifting. The blame lies partly with the excessive fireworks display on Diwali night and partly with the farmers in Punjab who refuse to pay any heed to the environment and continue burning the crop stubble left behind after harvest. There’s also the failed attempt by the Delhi government in vacuuming the dust off our streets whic h continues to be a major source of fine particulate matter available freely in the air. Combine expert medical advice that urges people to leave the National Capital (if they want to be healthy) along with more experts who say that the PM levels are unlikely to go down over the next few days, we’ve got ourselves a real fix here. While the government scrambles to figure out a plan to tackle the problem in the long run, what you can do immediately is get yourselves a few air-purifiers for your home and car. However, don’t go out and just buy any purifier, simply because it has a large price tag or a fancy brand name on it. Here are the essentials to look out for. All modern air-purifiers feature High Efficiency Particle Arrestance (HEPA) Filters. These filters are generally rated to trap particles as small as 0.3 microns (the breadth of a human hair is about 50-150 microns). The particulate matter we are most concerned with is rated PM2.5 (particles that are 2.5-10 microns in diameter) and PM10 (10 microns or more in diameter). Therefore, any air purifier with a HEPA Filter should be able to remove much of the particulate matter from the air, but that won’t be enough. When evaluating air-purifiers, having a HEPA Filter is a pre-requisite. Nowadays, there is some controversy over the effectiveness denoted by the word HEPA, so to be on the safe side, ensure that you buy an olansi air purifier that mentions having both a TRUE HEPA filter and a 0.3-micron rating at the very least.